The report found that agriculture remains financially underserved due to low bankability of the enterprises. This is majorly caused by high real and perceived risk levels, lack of business and investment preparedness, which experts say is due to lack of appropriate advisory services. The report notes that majority of agriculture enterprises in Uganda lack capital at the start up stage when it is most needed. But all types of financiers including grant making bodies, venture capital firms and commercial banks are all eager to finance agriculture enterprises that have taken off. Most enterprises are reported to lack capital in their first three years of establishment when investment in things like green houses, irrigation and storage infrastructure are made. Even after these investments have been made in there is still little interest from lenders, until banking history, which can take up to seven years has been established. The report notes that most financiers prefer to only fund business that are well established. This establishment can take up to ten years. Alliance on agriculture financing notes that whereas several government and donor facilities have been established to provide capital for agriculture enterprises, majority of those who need the funds have not been served. The Ugandan Government’s efforts are supplemented by the donor community, as several other initiatives including the agricultural business initiative (aBi) which is funded by several European countries to provide capital and advice to enterprises along the agriculture value chain. Under a different initiative the European Union working with the National Social Security Fund and the International Fund for agriculture established $12 million fund for the same purpose. Created in March 2015 the AFP is a dynamic, responsive and action-based multi-stakeholder platform, hosted by Uganda Agribusiness Alliance, whose purpose is to improve focus and response to Uganda’s agricultural finance challenges through a coordinated approach. 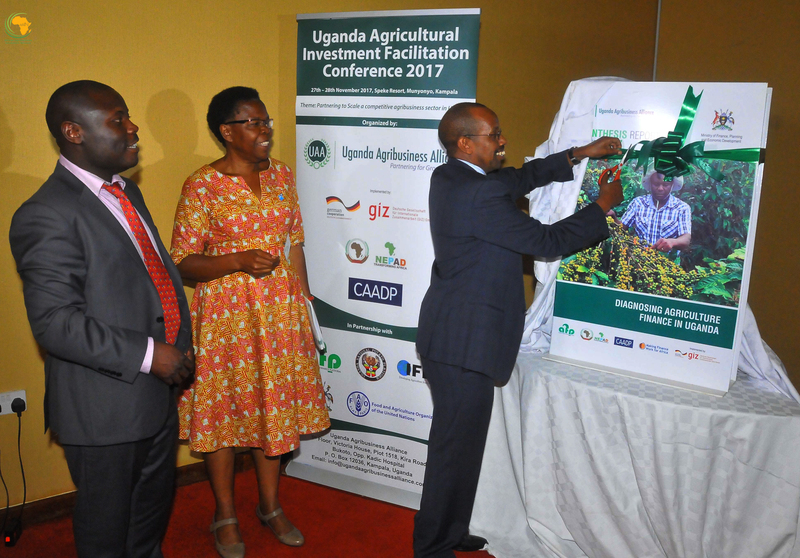 Africa’s Development (NEPAD), the German Development Agency (giz), the FAO, IFDC and government of Uganda, the Uganda Agribusiness Alliance (UAA) organised a 2-day Agricultural Investment Facilitation Conference. The conference was informed by the need to increase engagement between the private sector, government and Development Partners to push agribusiness development.